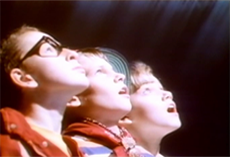 This is the original Japanese commercial for MOTHER. The game's three main heroes face off against R7308XX on the summit of Mt. Itoi. Remember, no crying until the ending. 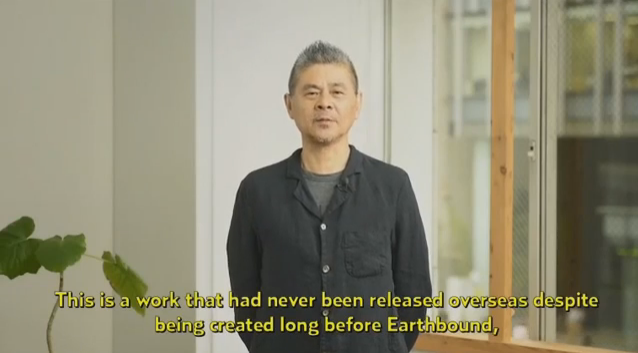 This video was made as a preview for Itoi's upcoming video game, MOTHER. He asks that game players pace themselves when playing, and he wants them to explore the game world on their own. 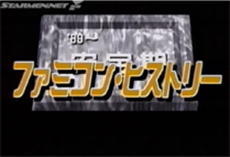 This small video is an excerpt from a larger video about the history of the Famicom in Japan. Game makers from outside the main Famicom industry, like Shigesato Itoi, began to make games for the system. This little video depicts Famitsu's Top 100 Famicom games. As it turned out, MOTHER was the ninth on this list. 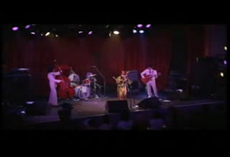 SAKEROCK is a Japanese band known for making new-age classical music. 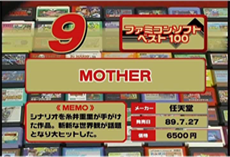 The band members, being fans of MOTHER, got permission from their friend Shigesato Itoi to perform the Eight Melodies. 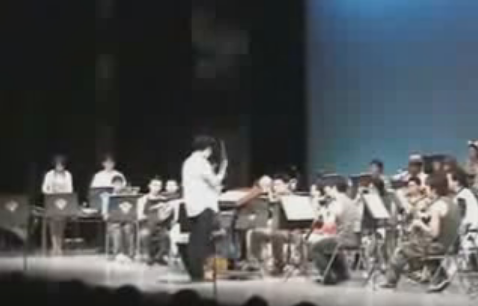 From the so-called "Famicom Band" that did a bunch of orchestrated Famicom/NES music way back when. On June 14th, 2015, Nintendo held the first Nintendo World Championships. When they were going through which games would be appearing, an announcement was made. This is that announcement. This is a video of the audience's reaction when Earthbound Beginning's was announced to be on the Wii U's Virtual Console at the Nintendo World Champion's in 2015. The official Earthbound Beginnings Virtual Console trailer. Buy Earthbound Beginnings on the VC! !